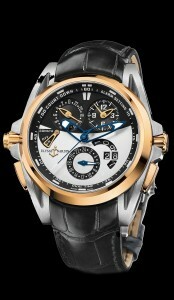 It is a GMT Dual Time, with alarm function. 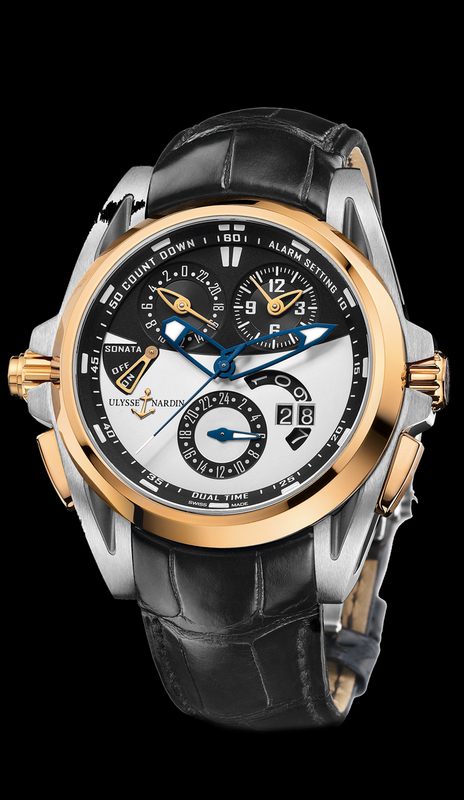 It features a rose gold bezel, and high grade titanium, 44mm case, with big date. It also features an alarm function which can be set to AM, or PM, and displays local and home time at all times. It has an exhibition glass back. It is shown on black crocodile strap, with folding titanium folding buckle.